This month the Global Value Exchange team has uploaded metrics from the Office of National Statistics Measures of National Well-being Dashboard. 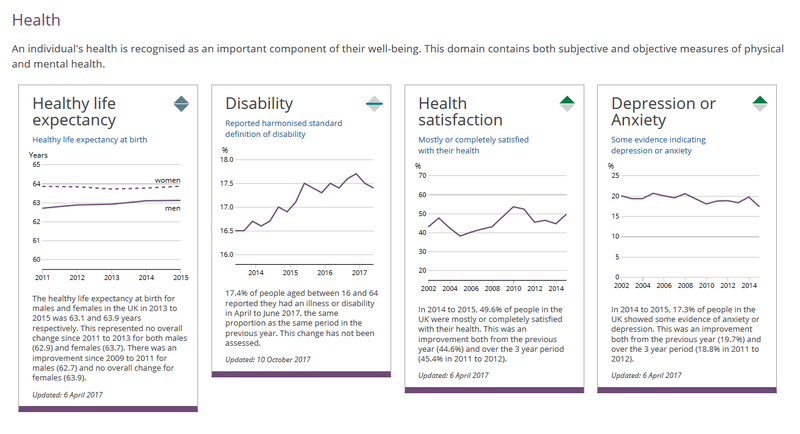 The dashboard supplements the Measuring National Well-being programme, which aims to better understand personal and societal wellbeing in the UK across a range of domains. Screenshot of the “Health” domain section of the Dashboard. 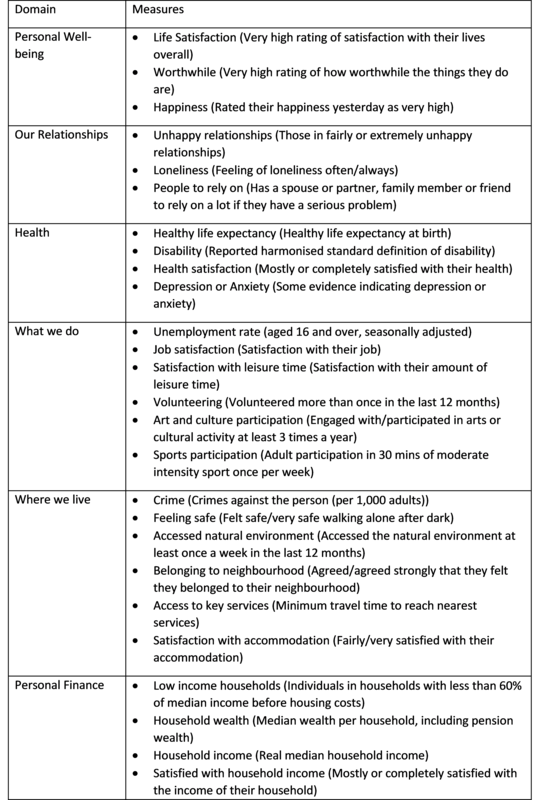 These metrics have been uploaded to the Global Value Exchange as a Shared Outcome Framework, with each domain uploaded as an outcome, and the corresponding measures as indicators. In addition to the metrics being searchable on browseGVE, you can also add them to your myGVE project. This helps you demonstrate to your stakeholders that you are working towards a nationally-recognised set of indicators, with the added benefit of readily-available and frequently updated benchmarks from the ONS. 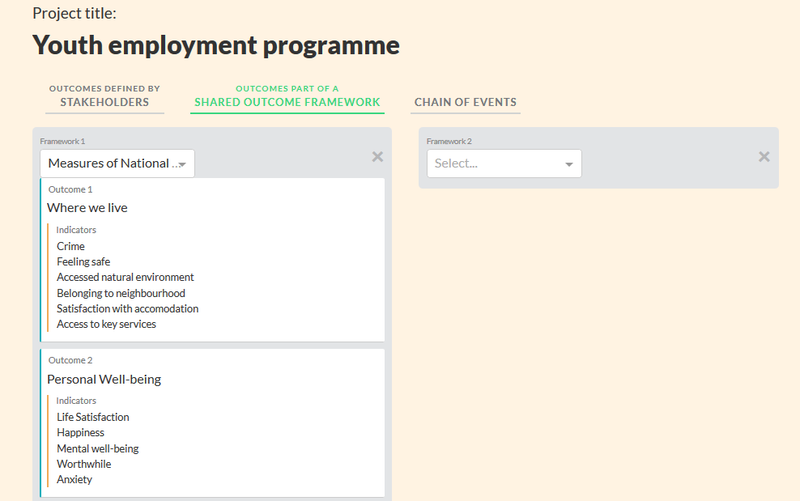 Screenshot of the"Outcomes part of a Shared Outcome Framework" tab on myGVE. To add the metrics to your myGVE project, simply log back into your project via the log-in button at the top of the Global Value Exchange homepage. There you’ll see a tab “Outcomes part of a Shared Outcome Framework”. Select "Measures of National Wellbeing" from the drop-down menu and they will be automatically added to your project. For more information, please contact us on team@globalvaluexchange.org.